Indian commandos have ended their siege of a luxury Mumbai hotel being held by gunmen, bringing an end to nearly three days of violence that left at least 195 people dead in India's financial capital. 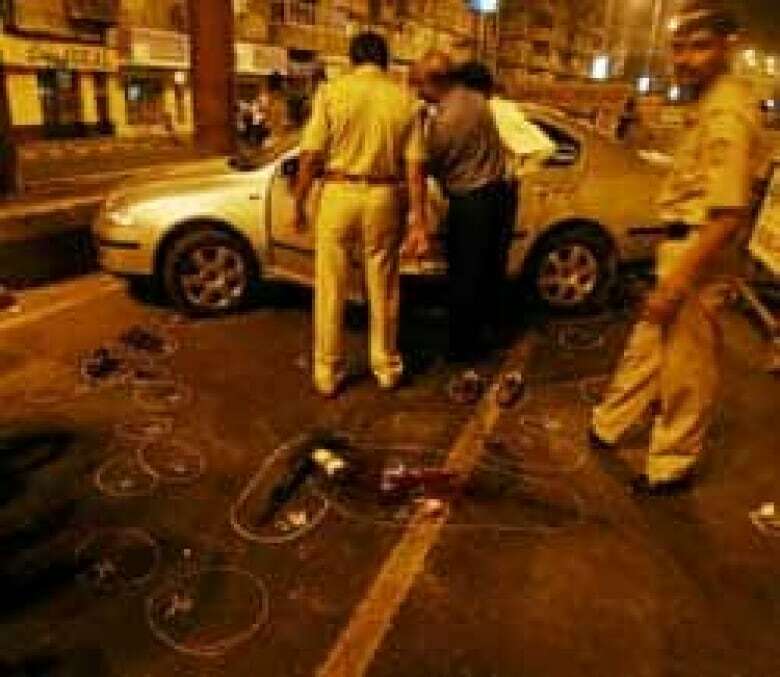 The assault at the Taj Mahal Palace hotel — one of two luxury hotels targeted in the Mumbai attacks — ended early Saturday morning, hours after another standoff at a Jewish centre in the city finished with the discovery of six slain hostages. "Taj is under our control," Mumbai police chief Hasan Gafoor said, adding that the remaining gunmen in the hotel had been killed. Jyoti Krishna Dutt, chief of the National Security Guards commando force, said the militants had "set places ablaze" as they moved through the hotel battling his troops for more than 48 hours. He said every room on every floor of the hotel needed to be checked. Authorities also raised the overall death toll to 195 Saturday, saying it is likely to rise. Around 300 people were wounded in the attacks that began Wednesday. As darkness fell on the city late Friday, gunfire and explosions were heard inside the Taj Mahal, where at least one militant was still thought to be holding two hostages more than two days after the first attacks plunged Mumbai into chaos, the CBC's Terry Milewski reported from the city. Officials said earlier in the day that at least nine gunmen had been killed in clashes with security forces at the Taj Mahal, but almost all guests and staff had been freed. Meanwhile, commandos on Friday ended a similar standoff at the office of the ultra-orthodox Jewish group Chabad Lubavitch by lowering themselves from helicopters and blowing a hole in the office wall. During the operation, the commandos killed two militants, only to discover the bodies of the six hostages inside, the city's police chief confirmed. 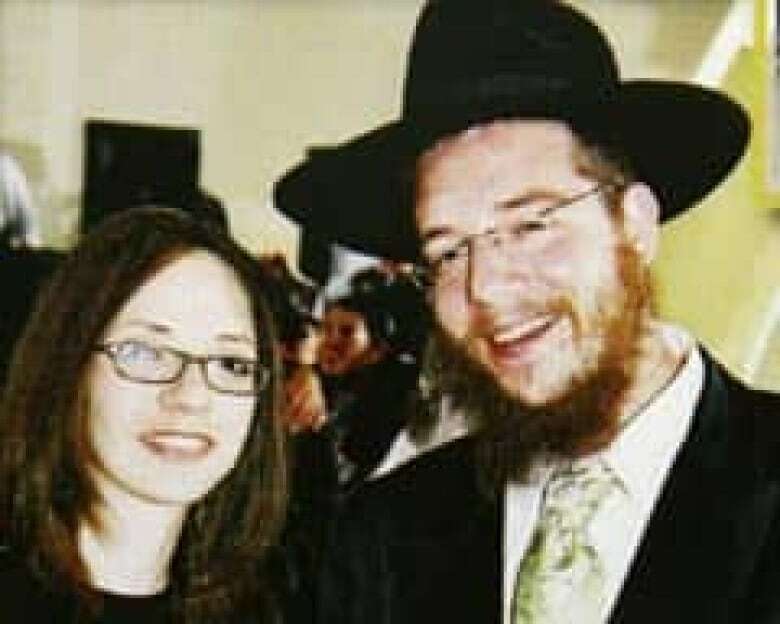 Two of the hostages killed were identified as Rabbi Gavriel Holtzberg and his wife, Rivka, the couple who ran the centre, said a spokesman for the Chabad-Lubavitch movement. Their 18-month-old son had been one of three people rescued from the centre on Thursday. "They had a huge mass of ammunition, arms and food there," Asthhana said. The slain rabbi and his wife were emissaries who had made their home in Mumbai and set up the centre to give Jews visiting India a place to feel at home, get kosher food and reconnect with their heritage, according to friends. "We are all crushed," said Rabbi Shalom Paltiel, a friend of the couple who serves a congregation in New York. He said the Holtzbergs "opened their home and their hearts" to many "lost" travellers struggling with their faith, as well as a range of personal troubles. "This guy saved lives, Paltiel told CBC News on Friday. "Him and his wife have a book of stories of people who were suicidal, people who were on drugs … who they've taken out and given their humanity back, their spirituality back. "These are heroes in every sense of the word." The grim discovery came just hours after commandos regained control of another five-star hotel complex, the Trident-Oberoi, where police recovered 24 bodies. "The Oberoi Hotel and Trident are now under our control," Jyoti Krishan Dutt, director-general of the country's National Security Guards, told reporters on Friday. "Oberoi, Trident have been evacuated. We have killed two terrorists." The announcement came after police said 93 guests had been freed from the hotel. The death toll from the attacks could rise as security forces search each room of the hotels. The head of one commando unit said he has seen 12 to 15 bodies in one room of the Taj Mahal hotel. 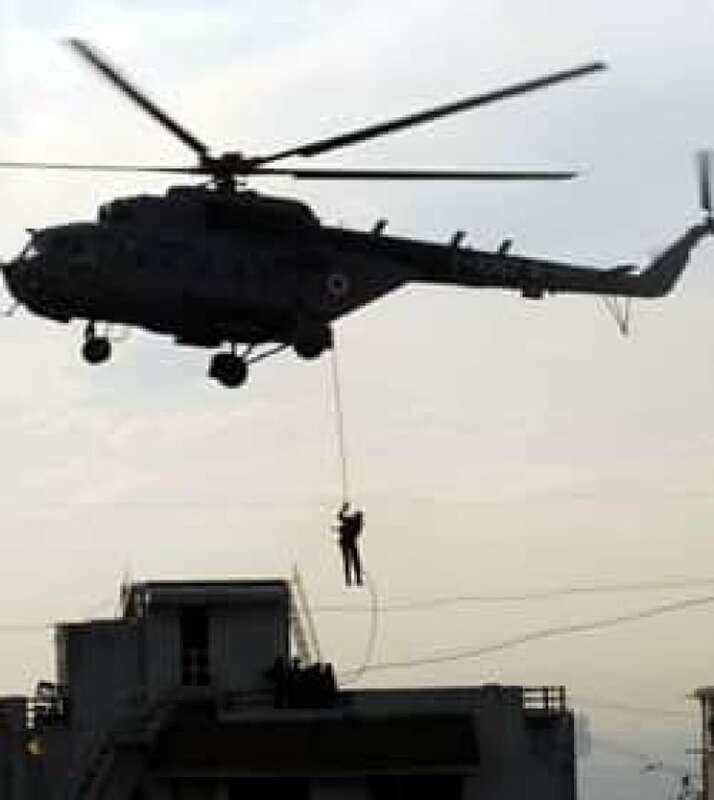 In a news conference, the commando commander, who was not identified and had his face disguised by black scarf and sunglasses, told reporters that his forces at the Taj found money, ammunition and an identity card from Mauritius that they suspected belonged to the militants. More than 400 people were brought out of the 565-room Taj Mahal hotel on Thursday, officials said, after security forces moved from room to room in the hotel, looking for gunmen and booby traps. In the afternoon, bodies and hostages were taken out of the building. A Muslim organization calling itself Deccan Mujahedeen has claimed responsibility for the attacks. The attacks were launched on Wednesday night, as militants armed with rifles and grenades attacked the sprawling city of about 13 million people. The gunmen struck a total of 10 sites, including a packed train station, a restaurant popular with tourists, the Jewish community centre, hospitals and the two luxury hotels. The previously unknown group calling itself the Deccan Mujahideen claimed responsibility in e-mails to several media outlets. Most of the dead were Indian nationals — many of whom died in the attack on Chhatrapati Shivaji Terminus train station as gunmen fired indiscriminately on waiting passengers. At least 22 foreigners were reportedly killed in the attacks. Fourteen police officers, including the chief of the anti-terror squad, were among those killed in the attacks. Indian Prime Minister Manmohan Singh has blamed "external forces" for the violence — a phrase sometimes used to refer to Pakistani militants, whom Indian authorities often blame for attacks. On Friday, Indian Foreign Minister Pranab Mukherjee said according to preliminary information, "some elements in Pakistan" were responsible. "Proof cannot be disclosed at this time," he said, adding that Pakistan had assured New Delhi it would not allow its territory to be used for attacks against India. As well, there were reports that the British government was investigating whether some of the attackers could be British citizens with links to Pakistan.